Will you ever control your smartphone with your nose? You will if you download the Nosepost app. This amusing video explains how going Eskimo (or Inuit, if you prefer) will stop your dropping your phone from a chairlift. Who’s been hoarding their lift pass cash under a pile of snow behind the snow groomer sheds and who’s been spunking it on a new detachable 8-man chairlift? 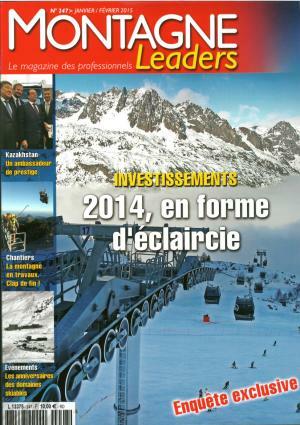 The report also shows a total of €335m invested in all resorts across France during 2014 – up 8% on the previous year. This thrilling video was put together by Red Bull. That name rings a bell – don’t they offer trips to the moon or something? This excellent blog post from Riding Switch exposes (geddit?) the brands who think it’s clever to commodify women to sell more snowboards. 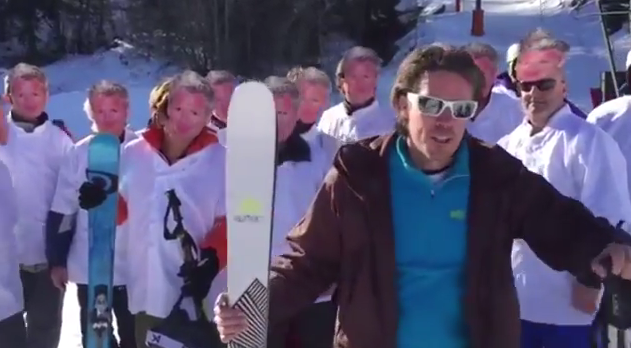 Nordic skiing, that is, as the US team join Barack Obama and Downton Abbey in the ‘Uptown Funk’ meme. You know those long chairlift rides when you can’t think of anything to say to the great-looking guy/girl sitting next to you and then you spend the rest of the week looking for them? And finally…this week Gordon Ramsay was sighted in La Tania, and gave Tim Wall quite a shock, after this ‘Ramsay’s Kitchen Nightmares‘ experience last summer. The La Tania weekly snow report will undoubtedly receive more views than usual after an amused Ramsay retweeted it to his 2 million Twitter followers.